Everybody has heard of the Dead Sea with its infamous mineral products, but how many of you have actually been there? For those of you who haven’t, these are the fabulous reason why it needs to go to the top of your travel bucket list. 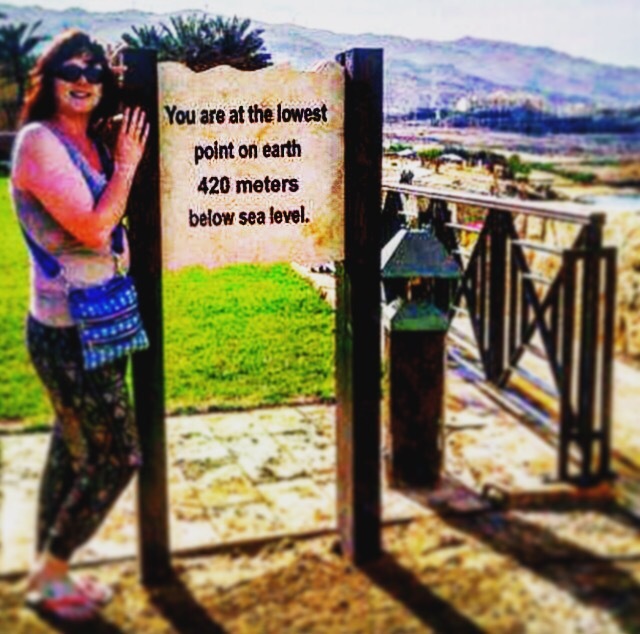 It’s the lowest point on Earth at 420 metres below sea level. When you are there it is eerily peaceful and feels like you are in a different atmosphere, a different world. The Dead Sea has many healing properties. It’s unique minerals and solar build up is known to help heal breathing problems along with chronic skin and joint problems. A lot of people dislike the regular sea because of the creatures who make it clear we are unwelcome. Well, the good news here is that due to the high salt amount in this stunningly giant ionic compound, nothing can survive so you can swim freely without the worry of being stung nor bitten. The best bit – you can float! The rumours are true. I can vouch for it as a pretty heavy and tall female, it is impossible to actually stand in the sea. The force of the salt content physically pushes you to the surface so you don’t need a lilo to kick back and read a book. It is disappearing. 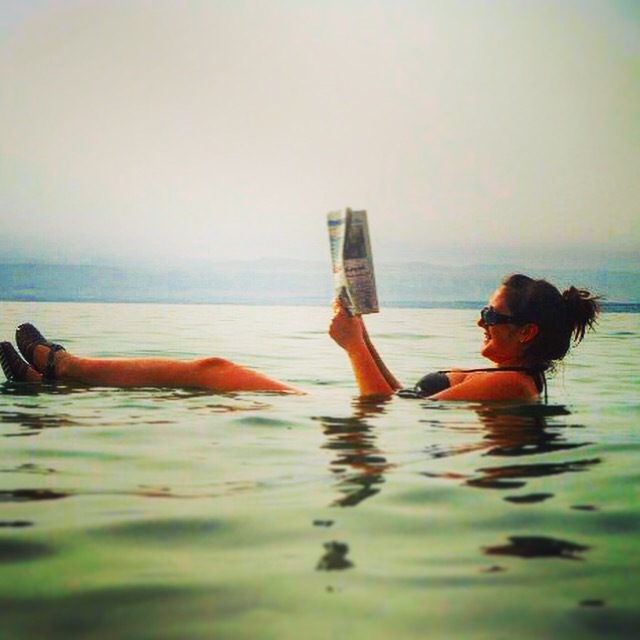 The Dead Sea levels are dropping by approximately 1 metre a year. In 200 years it is very likely that the Dead Sea will be just dead. As if you needed another reason to get out there ASAP. Make sure you do not have any scratches or open wounds when you enter the Dead Sea or you will be sorry you did. Also, leave at least 24 hours after shaving before attempting to enter. Take some jelly shoes (yes the ones you wore as a child!) as the sea bed is very sharp-rocky and slippery. In some hotels it is mandatory to wear them to get in the water. I actually feel extremely fortunate to have been able to experience the Dead Sea. I would return in a heartbeat and urge you to visit before it’s too late.